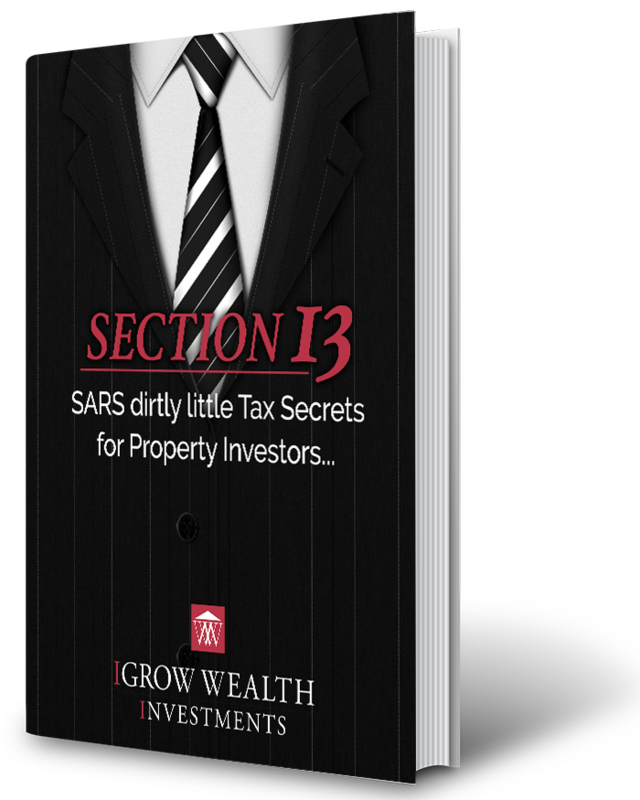 SARS allows for a special tax deduction specifically on residential property, called a Section 13Sex deduction. Affordable and quality residential rental properties for the middle income earners can become more accessible if investors capitalise on the tax write-offs offered through Section 13sex of the Income Tax Act. The tax incentive obtainable through Section 13sex come into effect when property investors buy a minimum of five residential investment properties for rental purposes. Purchasers are then able to off-set the cost of the investment by depreciating the cost of the property at an accelerated rate of 5% a year over 20 years. SARS created the Section 13sex legislation specifically to incentivise the investor market to encourage developers to build buy-to-let properties aimed at providing much needed housing for people in the middle income market, most of whom cannot afford to buy their own homes. Consider a buyer with a gross monthly income of R120 000 who invests in five properties at a total cost of R2.9 million. With a 90% mortgage, the initial deposit amounts to R290 000. Without Section 13sex, the monthly cost for these five properties would be R7 800p/m. However, the accelerated depreciation allowance brings down the buyer’s tax bill to R6 300 a month, making the effective cost R1 500 a month. That’s a significant saving of over 80%. IGrow Wealth Home Loans will structure investors financing to achieve maximum financing in terms of the banks current building loan criteria. R35,000 refundable reservation deposit secures your unit. This development have been structured by IGrow and the developer to maximize Section 13sex tax write offs for investors. Investors can write of a 100% of the top structure of their respective units for tax purposes and this has been cleared with SARS. Investors buying five properties (buying in accordance with Section 13sex) will have a positive cash flow in their pockets. The IGrow Trust and Tax accountants specialises in Section 13sex SARS incentivised units. Tenants are in abundance and there are simply not enough properties for the massive tenant demand in Paarl. IGrow is selling properties at R 5000 per square meter less than our competition developers just around the corner from Bergenzicht Country Estate. Find out more about South African property investments. Free expert advice from IGrow Wealth Investments. How to build a multi-million rand property portfolio training video. Report: SARS dirty little tax secrets for property investors. Full availability to exlusive below market value property investment opportunities in South Africa. FREE report - Section13Sex: SARS Dirty little Tax Secrets.